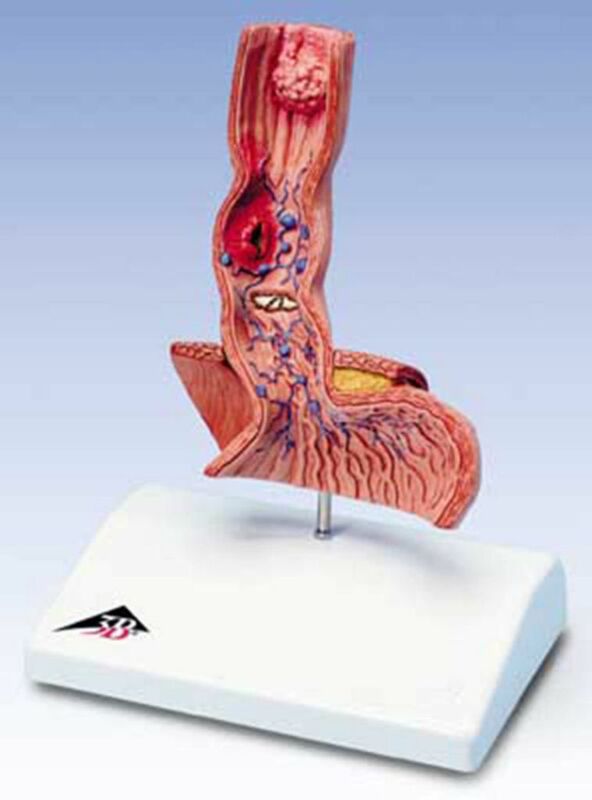 This vivid esophagus model designed to educate patients and students is a life-size frontal section that reaches from the lower part of the esophagus to the upper part of the stomach. The following illnesses are replicated in the diseases of the esophagus model: Reflux esophagitis, Ulcer, Barrett's Ulcer, Esophageal carcinoma, Esophageal varices and Hiatal hernia. This high quality diseases of the esophagus anatomy model is mounted on base.